ALBANY, N.Y. (AP) New York State is being sued over the way it purges names from voting rolls. The Lawyers' Committee for Civil Rights Under Law filed the federal lawsuit against state elections officials Wednesday on behalf of the good-government group Common Cause-New York. The lawsuit argues the state violates federal law by aggressively removing the names of voters determined to be inactive. 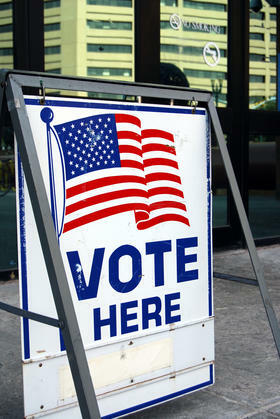 Officials routinely remove names of voters who they believe may have moved or died. As a result, people who haven't voted in several years might not receive a regular ballot. Last year there were widespread complaints when thousands of voters in Brooklyn discovered their names had been purged. The Lawyers' Committee is joined in the lawsuit by the group LatinoJustice PRLDEF and the law firm of Dechert LLP. Copyright 2017 WXXI News. To see more, visit WXXI News.